Imagine if your medical school and public health education would discuss the writings of Audre Lorde and the Third World Women’s Alliance, integrate community site visits into youth-led and -engaged clinic spaces serving girls of color, and be in conversation with community health activists across the East Bay to learn about more inclusive and intersectional healing practices. 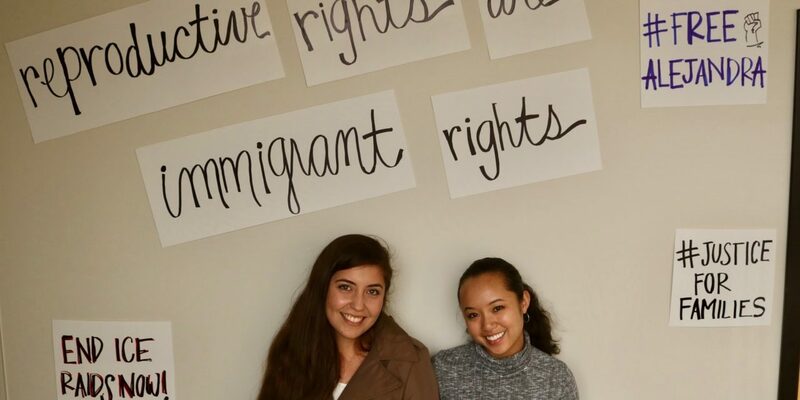 This initiative was ideated and is led by student organizers Bernadette Lim and Nicole Carvajal, current second-year students at the UC Berkeley-UCSF Joint Medical Program (JMP). Yet, beyond discussing critical race theory and learning how to create accessible clinic spaces for women of color, the priority of the Freedom School space is to create community of students who aim to not only become health professionals and researchers, but also to become activists in their life journeys. “While the Freedom School is framed as a ‘course’ and a ‘school,’ the space has become so much more than that. We are trying to imagine what medicine and public health can look like if it can center the narratives of communities of color and amplify marginalized voices that have been deliberately silenced by its education, research, and practice. We are a supportive and imaginative community and space that has been missing in medicine and public health for far too long,” says student organizer Bernadette Lim. “Various academic disciplines such as critical race theory, gender studies, queer theory, etc. are producing knowledge and theories that help to understand the sociopolitical frameworks that affect the conditions of many marginalized communities. We very rarely integrate these perspectives in medicine, resulting in a disconnect from all this amazing work in spite of all this knowledge being useful to our work as future practitioners. It is my hope to be part of a healing community that can help bridge these gaps and really create the change that is necessary,” says student organizer Nicole Carvajal. 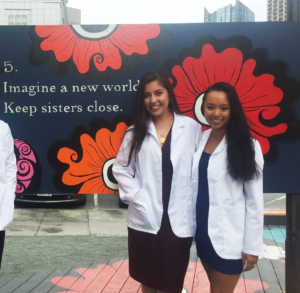 The Freedom School for Intersectional Medicine has attracted students throughout the Bay Area, including members of the School of Public Health, Joint Medical Program, UCSF School of Medicine, and community members involved in health justice work. By allowing participants to bring interdisciplinary perspectives and unique narratives to the table, the Freedom School has become a learning experience simply by the diverse makeup of the participants themselves. 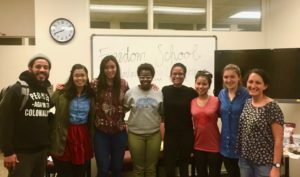 “The Freedom School offers a space to feel supported and represented on campus. It creates an opportunity to be in community with other students and faculty of medicine and public health who recognize how these institutions often recreate the inequities they seek to dismantle. 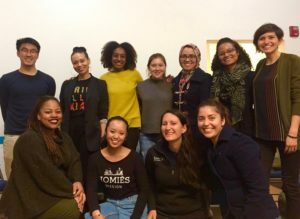 It challenges each of us to critically examine our roles in that system, to learn from readings, local community organizers, service providers, and one another as we re-imagine what medicine and public health could be,” says Freedom School participant Catherine Duarte, School of Public Health PhD Candidate in Epidemiology. Bi-weekly gatherings of the Freedom School are organized with specific focuses. For the month of February, 2018, conversations focused on Black Feminism and Reproductive Justice. The first gathering of the month was dedicated to learning from key foundational texts in critical race theory and centering the health narratives and voices of women of color. Participants read the introduction to Dorothy Roberts’ Killing the Black Body and the statement of the Combahee River Collective. During this meeting, participants were able to be in dialogue with a founding member of the Combahee River Collective, Margo Okazawa-Rey, about centering the lived experiences of individuals in academic work and creating lasting social movements for change. “There’s a sense of homecoming and belonging that I feel speaks deeply to the need of these spaces for women of color [in healing professions]. Intersectionality and social justice are rarely, if ever, formally integrated into the training of new physicians, and so it is invigorating to be a part of a community that aims to change all that,” says Sapphire Ear, a first-year student and PRIME scholar at the UCSF School of Medicine. Two weeks after their discussion gathering, Freedom School students gathered at a community site to participate in a “Bridging Theory and Community” gathering related to the monthly theme. In February, participants visited DreamCatcher Youth Services, Dream Youth Clinic, and MISSSEYin Oakland and were in conversation with organization leaders working to address the racial health disparities among girls who are at-risk or engaged in sexual exploitation. Eighty percent of Oakland’s youth who are at-risk or engaged in sexual exploitation identify as black/African-American. Participants learned about how these services addressed the specific needs of girls of color whose lives and health outcomes were uniquely affected by dimensions of race, gender, class, sexuality, and more. In addition, participants toured these organization spaces to illuminate the strength of co-located health and community support services to support youth development, wellness and empowerment. For Spring 2019, the Freedom School will focus on “Intergenerational Trauma, Borders, and Bodies” and “Challenging the Medical and Public Health Model: Towards Collective Healing,” integrating discussions from Gloria E. Anzaldúa’s Borderlands/La Frontera: The New Mestiza and from experiences with clinic and organizations that incorporate indigenous healing practices in the East Bay. “The Freedom School is critical space for students to gather and create intentional community to focus on collective inclusion and collective healing. The Freedom School has been bold in its acknowledgement of the targeted exclusion of certain groups and theories within the academic cannon and has been even bolder in its integration of these groups and perspectives. The community and collective consciousness that is being created within the Freedom School has the strength to cause resounding shifts within academia — in the name of true equity and inclusion,” says Dr. Aisha Mays. “I have been inspired by the depth of conversation and critical exploration the participants have brought to the Freedom School. There was an almost instantaneous feeling of community within that group that created an atmosphere conducive to this deep exploration into intersectional medicine and health justice through the lens of women of color. It was clear to me in the first meeting that many students within our community have been yearning for this kind of affirming, intellectually invigorating academic space and that’s precisely why we supported Bernie and Nicole’s efforts to create the Freedom School,” says Leanna Lewis.